International call up | NUFC Blog. Archive for tag: International call up. 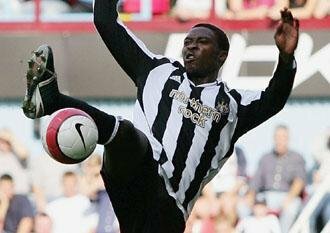 Hughton heading for Shola showdown. As esteemed colleague, Bowburnmag wrote yesterday, Fenham hitman, Shola Ameobi, wants to follow his dream in the African Nation’s Cup, and possibly even the 2010 World Cup with Nigeria. As that story reported, Ameobi has already represented England at under 21 level no less than twenty times (with seven goals), though his chances of getting into the main squad have always been rated at ‘slim’ to ‘none’. He has also been asked to represent Nigeria before too apparently.